Doburoku is among the most ancient of Japan's alcoholic beverages, with a history as long as that of rice farming itself. 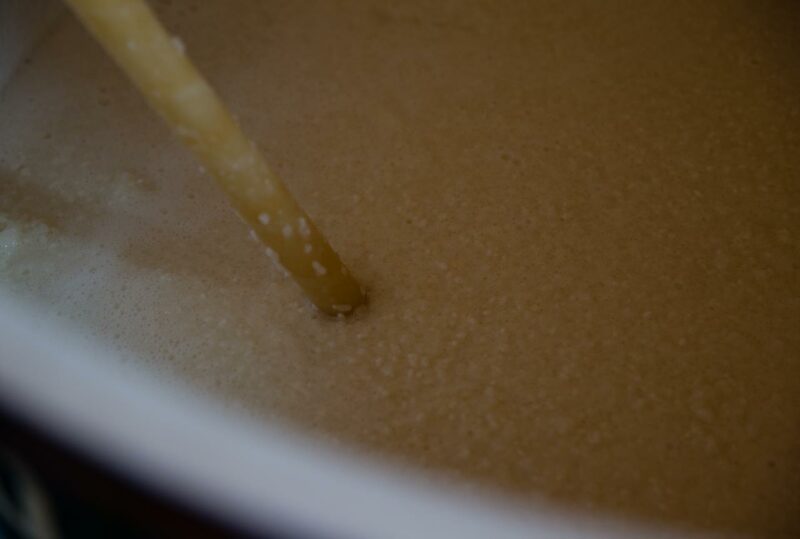 It is brewed using the same basic ingredients as sake─rice, water, and koji (a type of mold)─with the key difference being that the resulting mash (moromi) is not filtered. In ancient times, farmers would present an offering of rice and doburoku to the gods to pray for a bountiful harvest, a tradition which continues in many regions to this day. Though deeply rooted in Japanese farming culture, home brewing of alcoholic beverages was outlawed with the Meiji Restoration (1868) and the opening of the country to the Western world. When regulations were relaxed in the late 1990s, Tono─with a long history of brewing doburoku since the days of old─was recognized as Japan’s first special brewing district. As a homemade beverage originally produced for personal consumption, doburoku has traditionally been seen as having a crude, rustic flavor. 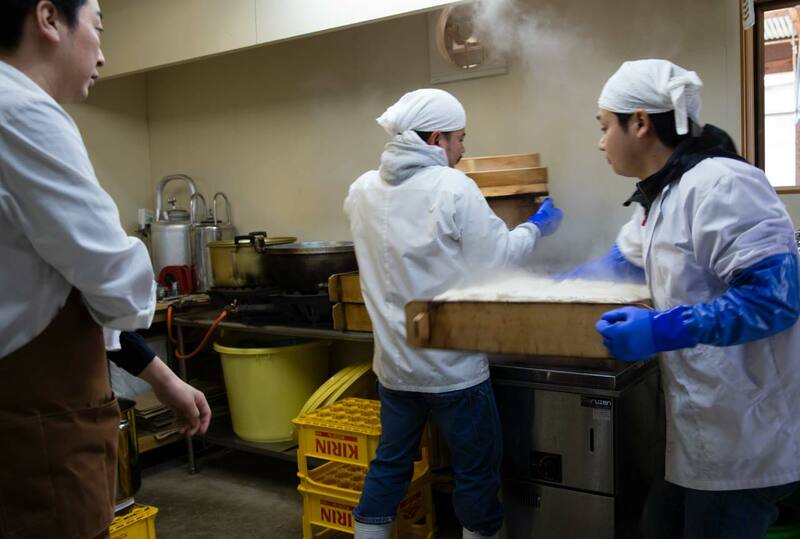 Sensing untapped potential, Yotaro embarked on a journey of self-discovery that led him to a short-term intensive apprenticeship at Kubo Honke, a renowned sake brewery. After more than ten years of research and experimentation, he finally succeeded in realizing the refined, elegant taste he had first envisioned over a decade earlier. Brewed with the utmost care and a wholly original fermentation process, Yotaro’s doburoku is matured for three to six months, then bottled alive and unpasteurized. This method results in a sparkling texture and singular flavor that combines the deep, rich umami of rice with a fresh follow-through and a sweet, airy aftertaste. Gentle on the palate, the steady presence of alcohol makes it a perfect match for cuisines from around the world. Savor the full palette of flavors rice can achieve with this exquisite brew. Produced by the sake brewing method known as sokujo-moto (lit., quick fermentation starter), in which lactic acid is added to the mix of steamed rice, water, and kōji to prevent contamination by unwanted bacteria. More time-efficient than the traditional kimoto method, it has become a modern standard. Enjoy the refined elegance of Yotaro’s doburoku in its simplest form. Brewed with a traditional method that dates back to the Edo period (1603-1868) in which no lactic acid is added. Instead, lactic bacteria is cultivated naturally to trigger a nitrous acid reaction that creates a contaminant-free environment where the naturally-occurring yeast can fully drive the fermentation process. Relying entirely on the forces of nature, the resulting brew will often take on a flavor all its own. Savor the complex, wild tastes of the natural world. Brewed with a method said to date back to the Kamakura period (1185-1333). Using only water and rice, lactic acid is naturally produced to create a "mother water", or soyashi-mizu. 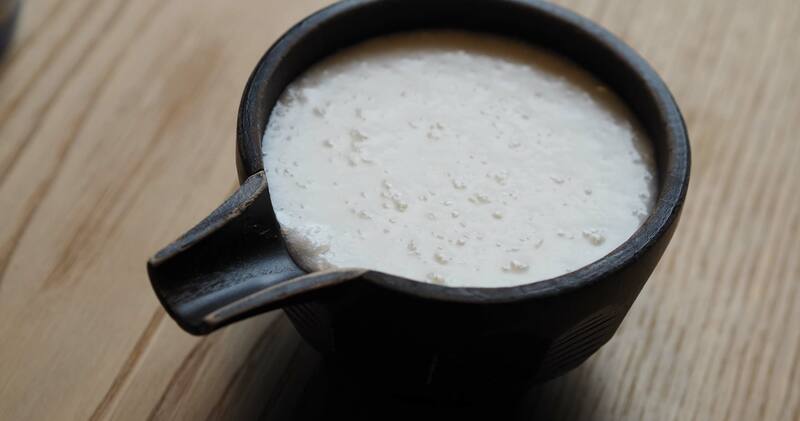 To this, steamed rice and kōji are added to naturally cultivate the yeast starter. It is also known as bodai-moto, a name derived from a temple on the outskirts of the ancient capital, Nara, where this brewing technique was considered a hidden treasure. Partake in a rich and elegant doburoku wrought by the power of nature. Inheriting the legacy of his forefathers, Yotaro has created an elegant doburoku for the modern age. In his quest to brew the perfect doburoku, Yotaro pays the utmost attention to rice farming. Listening to the voices of nature, he grows his organic rice using no pesticides or fertilizers. Rice raised in a harsh, natural environment is a truly irreplaceable element in his recipe. With the greatest care given to both the raw ingredients and the brewing process, Yotaro's doburoku can be stored alive for up to three years. Dobuqueur is the world's first fruit-based doburoku liqueur. 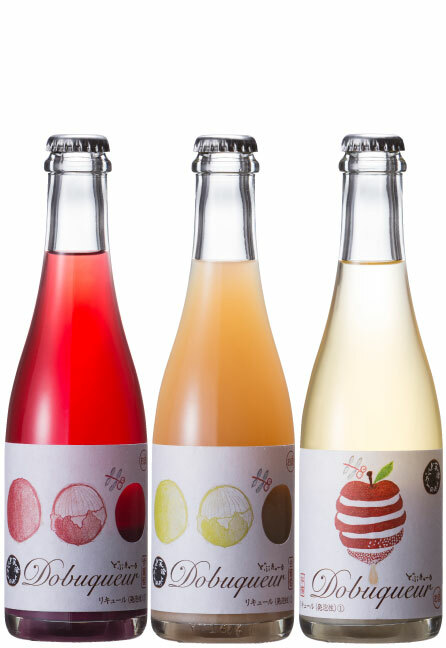 Created using only rice, kōji, and fruit juice without added sugars or sweeteners, it is available in three flavors─apple, red grape and white grape─and is a favorite among casual drinkers. Each variety is brewed with a unique method specifically tailored to bring out the aromas of that particular fruit. The juice is not adapted to fit the doburoku, but rather the doburoku adapts to fit the juice, resulting in a truly sublime beverage. An artisanal vinegar created by Yotaro by adding acetic acid to his doburoku. Available only in select locations, given the limited quantity that can be produced, it is prized by chefs for its distinctive flavor, which preserves the refined elegance of doburoku. Doburoku first took the world stage in 2015 when it was exported to Spain and Hong Kong. Today, multiple Michelin-starred and World’s 50 Best-ranked restaurants serve Yotaro’s doburoku, including Spain’s Mugaritz, Disfrutar, Tickets, and Enigma. 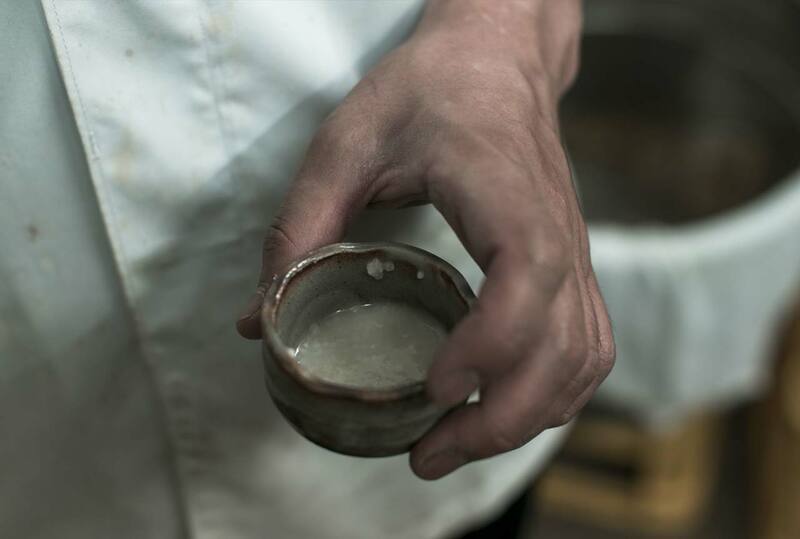 In countries overseas with no tradition of cloudy sake, doburoku has won the hearts of diners who describe its flavor and texture as unlike anything they have experienced before. Until now we have been producing consistently doburoku from our own organically grown rice. From now on we will be also purchasing, at a fair price, rice grown by a like-minded rice farmer. This is a time we strongly feel the potential of doburoku and we believe that, by expanding our business, we may contribute to the revitalisation of Japan’s agriculture. Furthermore, we believe that the rice farmer that grows rice for doburoku, during the winter season will be able to gradually devote himself to producing and selling doburoku and, by doing so, guarantee himself a stable income throughout the year. We have been making doburoku for　over ten years. Now we are moving one step ahead!